There are tenative signs that the MJO may go to phase 8, if so that could mean the door opens up for blocking to our north west from any scandi high that develops. It's an outside chance for now. However if it does turn out to be a cold end to February, kudos to yansno for predicting it a few weeks back. here is this mornings GFS ensembles for Dublin. You can see the thick green line is the GFS operational run, it's kinda on it's own for now with the cold spell. However there is a definite cooling trend kicking from about the 16th of February. 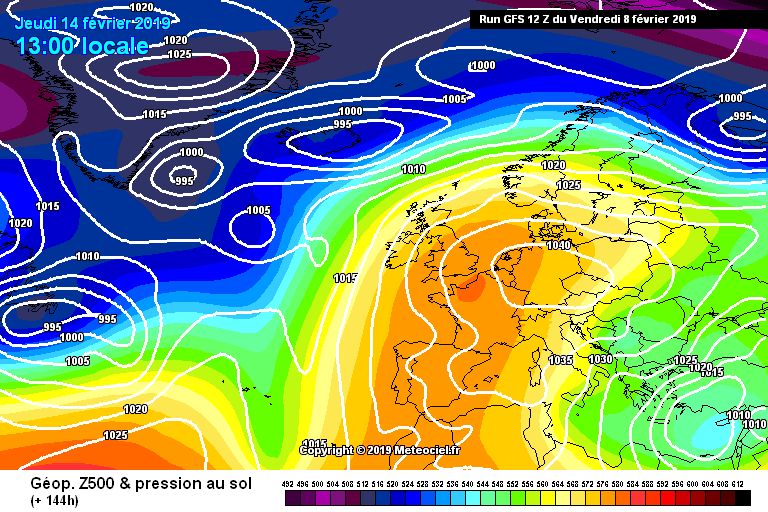 We may lose the easterly on the next GFS run and perhaps have it back again on a later run. The next 3 days will be very important model watching to see if this cooling trend into a potential easterly has any realistic chance of happening. The ensembles have also turned a good deal dryer overall for Dublin compared to what was being modeled a few days ago. I'm getting (Invalid img) where your chart should be. that's odd, I've looked at this post from several different devices and it's showing up grand on them all. Went back to legacy site on my android device and it's fine now. Weird. I can't chase another 10 dayer. Somebody PM me at T48. 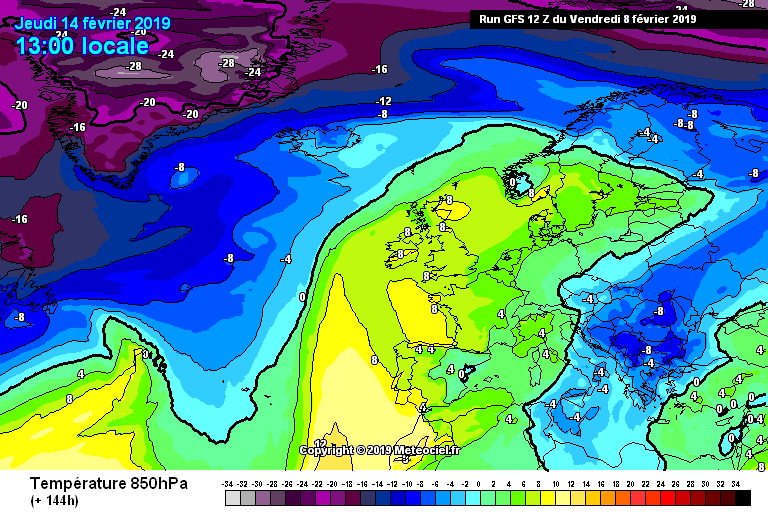 The 12zGFS has us narrowly missing out on a Beast, perhaps still some light snow showers in Leinster. This is still two weeks ago and will chop and change, the main thing we can take from this is the trend is definitely colder and all signs towards the Atlantic being cut off for the last 10 days of February. Knowing our luck the high will be too close to us when the time comes, but certainly some exciting model watching coming over the next week hopefully. The GFS ensembles are still updating and several of them are going close to the freezer from about the 18th, will take a closer look when all the models have finished updating. Meanwhile, in the more reliable end of FI, the GFS 12z showed the prospects of a very mild Valentine's Day 2019 with a southerly flow of air. Isobars to Ireland coming all the way from North Africa. I would think there'd be a possibility of maxima of 12-14c, maybe even 15c in the odd spot? 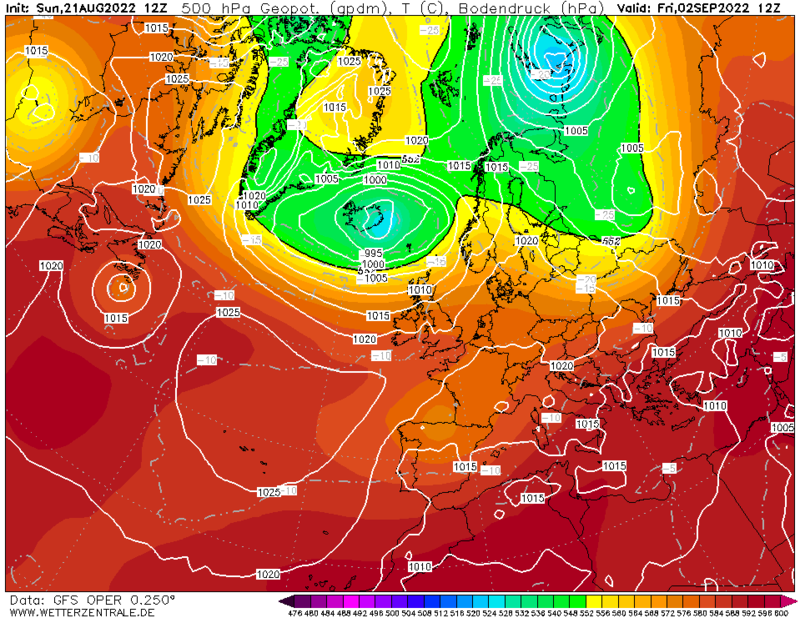 not a great run tonight, we get a brief toppler on the 18th/19th of February, then high pressure moves from the Atlantic on the 20th and mild Atlantic after that with no sign of proper easterlies in tonight's run. Terrible FV3 18z tonight but the ECM is still trying to establish blocks and disrupt the jet stream, so in my view we wait for the overnight and morning runs to compare. We're still very much potentially in the game here. The outlook seems to be developing continental HP, Atlantic interlude, developing continental HP. The weather is on a loop!